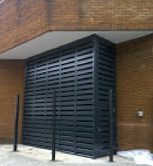 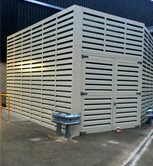 Sound Planning designs, supplies and installs acoustic louvre screens that allow the necessary airflow around mechanical equipment. 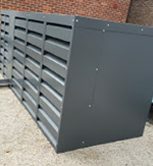 Utilising high quality acoustic panels and acoustic louvres that are suitable for both indoor and outdoor applications, we use soundproofing materials that help to achieve greater sound insulation. 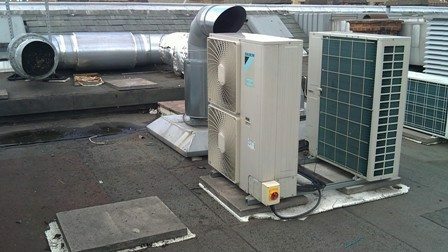 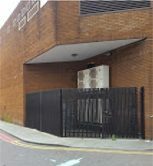 Mixed extract and supply air plant, as well as external air conditioning plant that required a noise reduction of around 10 dB(A), whilst facilitating air flow around plant and maintaining a service access area. 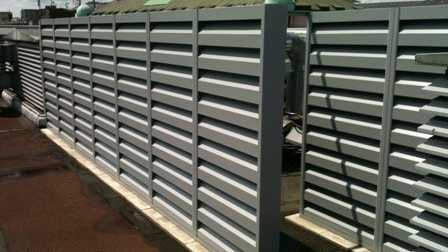 Acoustic Louvre Screen painted RAL 7040 ‘Gun Metal Grey’. 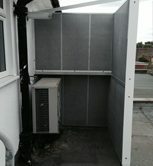 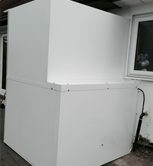 For acoustic screen enquiries please call 01252 711972 or email enquiries@soundplanning.co.uk.